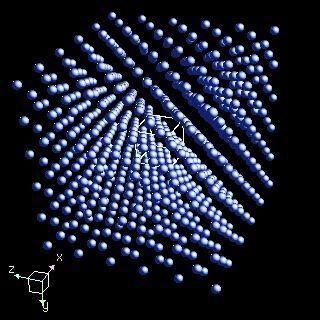 Copper crystal structure image (ball and stick style). 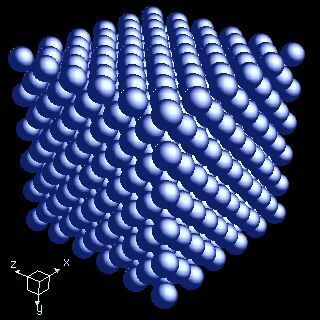 Copper crystal structure image (space filling style). M. E. Straumanis and L. S. Yu, Acta Crystallogr., 1969, 25A, 676.